It’s Music Monday, but it’s also totally Harry Potter season. I don’t know about you guys, but when ABC Family starts playing the Harry Potter movies pretty much every single day, I watch them pretty much every single day. I LOVE these movies, just like I love the books. I also tend to listen the soundtracks (which are AWESOME) more often during the fall. They are perfect fall weather/get work done to/pump you up songs, so I thought I’d share five six of my favorites. 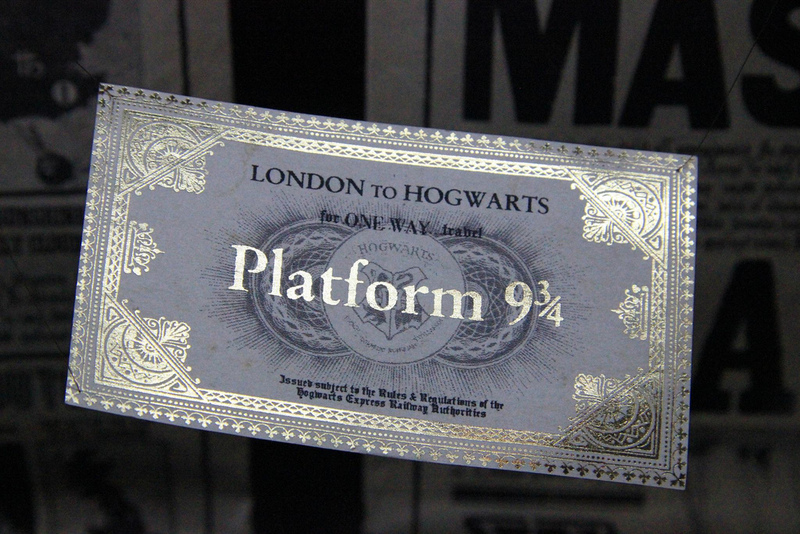 Hedwig’s theme – this is the classic “Harry Potter song”. You’ll recognize it almost immediately, and it appears in every movie in one form or another. Harry’s Wondrous World – a fantastical feeling song that really encapsulates what the first two books/movies felt like – magical. Mischief Managed – the perfect ending to the third song. Mixes all of the other songs together in a dark, wonderful finale to the movie. Potter Waltz – a fun, fast-paced song. The song where Harry tries to dance at the Yule Ball and…fails a bit. Buckbeak’s Flight – a sweeping, lovely piece. The song that plays as Harry rides Buckbeak around the Hogwarts grounds in the third movie. Professor Umbridge – kind of enchanting and a lot of fun. Very bouncy. Just ignore the fact that it’s about that horrible woman. You know you want to download some of these, so head on over to Freegal and download them all for FREE and start your fall playlist! It's Throwback Thursday, and I've decided to start posting reviews for some of my favorite books every Thursday for your reading pleasure. All of these reviews were originally posted on my personal blog, Caught Read Handed. Check out the full synopsis on Goodreads. When one of Simon’s emails to Blue – an anonymous and not openly gay (like Simon) boy from his school – gets into the wrong hands, he’s blackmailed into helping this bully get the girl or his sexual identity will be out in the open for everyone. Even worse to Simon, Blue’s identity could be exposed to the school. 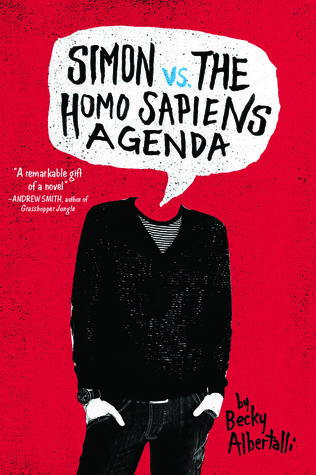 Basically, Simon’s junior year is turning into a complicated disaster. Simon hates change but he has to find a way to adapt before he’s pushed out of his comfort zone. Blue and Simon have been getting to know each other through emails for most of the school year. They don’t know who the other is, just that they are gay and not out. I’m pretty sure I’ve talked about how much I love books with letters or emails or other forms of communication before, so you can imagine how much I adored Blue and Simon’s emails. They get steadily more flirtatious as the book goes on and it was so cute to see how much they liked each other. Then when we finally get the big reveal and they meet each other? SWOON. I had been hoping most of the book that Blue was who I thought he was. I was SO HAPPY about it. Other things I loved: realistic friendships that were supportive even through issues and change, Simon (yeah, I already mentioned him but I had to again), Simon’s parents, Simon’s outlook on life, Blue. One thing I didn’t like: I wish we’d had more time with Blue and Simon after they meet in real life. I want to swoon over them some more. The bottom line: Everyone needs to meet Simon. He’s so human that I feel like everyone would be more human after having met him. I don’t even know if that makes sense, but, basically, this book deserves to be read. It’s such a wonderful love story and it’ll make you feel all melty on the inside. I honestly can’t believe this is a debut. 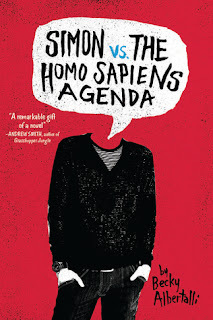 Want to check out Simon vs. the Homo Sapiens Agenda? We've got several copies in the CMRLS Catalog! When Sunshine Griffith and her mother, Katherine, move from sunny Texas to dreary Washington state, Sunshine isn’t happy. She tries to stay positive for her mother’s sake, but leaving the only home she’s ever known and moving to a cold, dark, mildew-smelling house isn’t her idea of a good time. But there’s more at work here than just homesickness. There’s something definitely wrong in this house, and it’s up to Sunshine and her new friend Nolan to figure it out. If she doesn’t, her mother’s life—not to mention everyone else’s—may be forfeit. Anyone who has read any of my reviews before knows I love spooky stuff, so with the intriguing premise, weird cover, and established YouTube series (on which the book is based), I was stoked to read this. I was hooked by the first couple of pages and read the whole book in one sitting. That said, some of it fell a little flat for me. What I liked was the idea of the book. I’m always a sucker for a good ghost story, and this had the potential to be an awesome one. It is often very atmospheric; I could almost hear the footsteps on the second floor above Sunshine’s head, and I could practically see my own breath in front of my face in the wake of an invisible chill. The book delivers some really great visuals, and though I haven’t seen the YouTube series yet, I can absolutely see it being a visually excellent movie someday. What I didn’t like as much was…everything else, I guess. Sunshine is very much the cute, clumsy girl with the unique eyes and mysterious past that has become customary in a lot of books like this one, and the other characters, despite having a lot of potential to be really fascinating, just don't work for me. Even the plot eventually got boring, despite Sunshine’s ~*One True Destiny*~ that is slowly revealed throughout the book. I guess that’s where it fell off the rails for me. The book starts as one thing and about halfway through becomes something different, and I feel like if it had been kept simple, it would have been more interesting. It also would have allowed for more of a slow build on the tension. 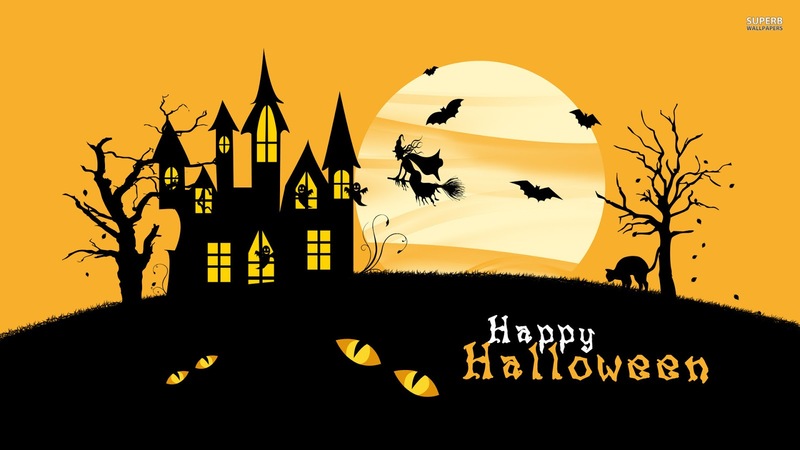 As it is, it becomes a little too fast-paced and info-heavy for the creep factor to be given proper time to simmer. All in all, I’d give it a C. There are sequels coming out, though, so I may try them when they come out to see if I like them. If you give this one a read, let me know what you think! 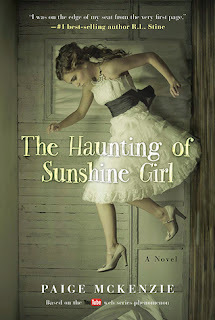 Want to check out The Haunting of Sunshine Girl? Find it onthe CMRLS catalog and put it on hold! 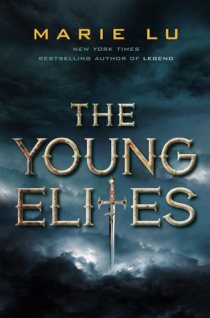 One of my favorite series is The Young Elites by Marie Lu. 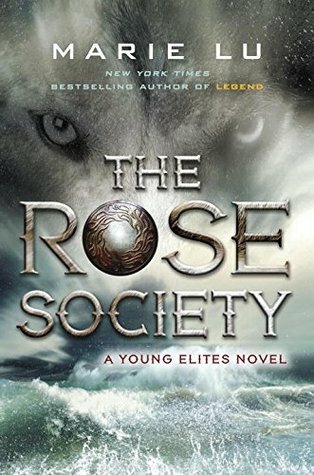 The second book, The Rose Society, was recently released, so I thought I'd share a short review of the first and second books to get you interested! This book is freaking incredible. I kept having to put it down and take a break because it was just that good. I’ll start by talking about my favorite part: the world building. Even 25 pages in, I already had a pretty clear picture of what everything looked like, and as the book went on, the little details became clearer. All of the character have a purpose in this book. No one is just there. It’d probably be pretty difficult to discuss them without giving away the twists and turns in this book, of which there are several. So I’ll just say that everyone is awesome. I could probably talk about this book forever. I am so impressed with it. I struggled to find the words to describe how much I loved this follow up to The Young Elites. It’s rare that I read a sequel that I find to be completely up to par with the first book, but this was. Plus, it’s darker and more devious and delightfully delicious. I devoured it. This book will break your heart and make you crave more of it. And that ending. No spoilers, but it’s both deliciously satisfying and slightly enraging in that I NEED MORE NOW. I’m so pumped that my teens chose The Young Elites for our November book club read at the library. Even though I was obviously obsessed with this one, this one felt more slow-burning than The Young Elites which was packed to the brim with action. I liked the focus on Adelina’s mental state, but I think TYE was a little more intense, if that makes sense. The bottom line: READ THIS SERIES. You won't be disappointed. In fact, you're probably going to be completely enthralled, put under a spell that you won't want to break. The Young Elites is in the CMRLS catalog here, and The Rose Society will be available soon, but you can go ahead and place a hold on it here! What does that mean? Central Mississippi Regional Library System has a ridiculous amount of FREE to you resources available for patrons. One of those resources is Freegal, a free and legal service that allows patrons to download five songs each week for FREE (notice the emphasis on free). Using your CMRLS library card, you can access over 7 million songs from over 28,000 labels including the Sony Music Catalog of your country. So, every Monday on the blog we'll be picking five songs that we love that are available on Freegal for you as a patron to download. In case you missed my announcement last week, here's the best new addition to Freegal: STREAMING! Yep, it's true. Beginning Sunday, October 25 patrons that log-in with their library card and pin number may stream up to three hours of music per day for free (via desktop or mobile)! You can also create and save numerous playlists for streaming, and this will not count against your usual 5 downloads! How awesome is that? Unsurprisingly, there are many up-and-coming artists' music out there that I've been listening to recently that Freegal unfortunately does not provide (like Namebrand, Kehlani, Appleby and Lyrica Anderson), but these select artists are indeed available! So if any of the aforementioned sounds like something you might like, head on over to Freegal to check them out! And that's all I've got for today kids. 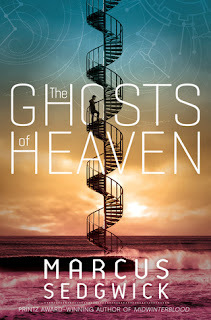 The Ghosts of Heaven weaves together four tales that span the beginning of man to our future and back, bound and connected by spirals. From prehistory when a girl is making the first written signs, to the death of a young woman the townsfolk call a witch, to a twentieth century asylum wherein a doctor learns the dark secrets of the sea, all the way to a far and distant future, where an astronaut holds the fate of mankind in his hands. I fell in love with this book from the very first quarter, which is told in free verse from the point of view of a young woman during the dawn of man. She is drawn to the spiral that she sees in so many places, from the shell of a snail to the flight of a falcon, and as she finally begins to understand the symbol she’s become obsessed with, we’re on to another story. Each one evokes a different feeling in me. In the introduction, Marcus Sedgwick says the stories can be read in any order. I read them in the order they’re presented, but I’m going to go back and read them differently to see how it changes. This book is haunting and thought provoking. While the idea could have felt a little pretentious (spirals, mysticism, how spooky), the execution was, I thought, really well done. I got really attached to each of the characters, and it was beautiful to see how they all began to see and feel the same things, even separated by so much time. But that’s the point, really, is that time is not as linear as we think, and when we come back around we’re just a little bit deeper into the mystery. It’s really hard to explain this book. It made me feel so much joy and so much sadness, and I couldn’t put it down as soon as I started. 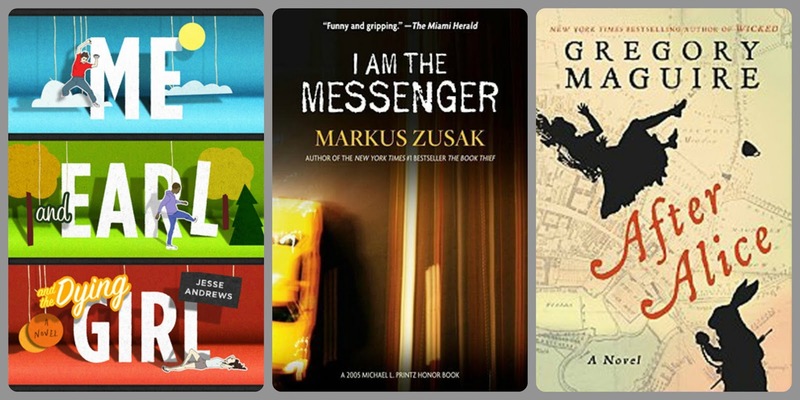 Despite the very individual nature of each of these narratives and how personal they felt (and, in some cases, how tragically they ended), it made even me as a reader feel connected to something so much bigger than myself. I would love to hear what you all think. 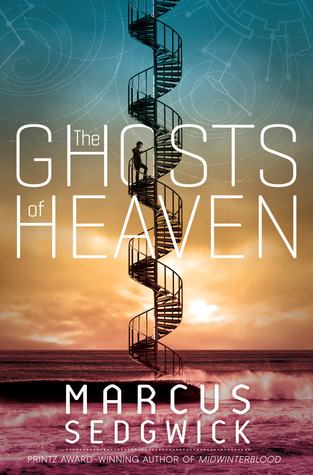 Want to check out The Ghosts of Heaven? Find it on the CMRLS catalog and put it on hold! View the full synopsis on Goodreads! Amber is on the inside of the Aurora Hills juvenile detention center for the murder of her stepfather. On the outside is Violet, a ballerina who is about to get everything she’s ever wanted. Stuck in the middle is Orianna, once Violet’s best friend and now on her way to rooming with Amber at Aurora Hills after she is charged with a gruesome murder. But what really happened that night? 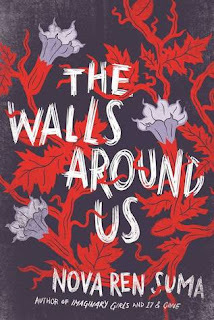 The Walls Around Us is part mystery, part ghost story, and entirely a coming of age novel that examines human nature and what lengths we will go to in order to get what we want. WARNING: I really, really enjoyed this book, but I can’t really describe this book without spoiling it a teeny bit. If you want to go in blind for the full experience, I suggest not reading any further. The tale itself unravels in a slow, winding way. The reveal is entirely expected, but it’s still enjoyable to read, simply because of the people involved. Orianna almost feels too good to be true, which makes the crimes she’s accused of that much more heinous. Violet, on the other hand, feels both refreshingly realistic and horrifyingly so. The insight into her psyche is startling and mesmerizing. If you’ve seen Black Swan, the kind of morbid fascination you’ll experience is a lot like that. Amber is probably my favorite character in the whole book. While Orianna is physically caught in the middle of the inside and outside world, Amber is caught in a more metaphorical sense. She’s the grounding, real-world character that makes a story like this work, and even though she did something terrible, you can’t blame her, and you root for her all the same. This isn’t even touching the supernatural aspect of the story, which is off-putting for some readers. Personally, I thought it added a great touch, primarily because it’s through this aspect that the reader and characters achieve closure. I can’t say how, but by the end of the story I was almost viciously satisfied with how it turned out. All said, this story may not be for everyone. But if you like a little mystery, a lot of suspense, and a solid ghost story, all with dynamic female characters? You should give this one a shot. Want to check out The Walls Around Us? Look it up on the CMRLS catalog and put it on hold! And here's the best new addition to Freegal: STREAMING! If any of these catch your eye, head on over to Freegal to download them! And remember, starting Sunday, October 25 you can STREAM! That's all for today you guyzzz.